I hope the writing is going well. 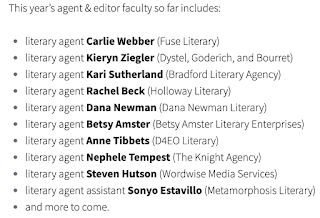 I am just dropping a line to say that an independent one-day Los Angeles writers conference is happening by you again on May 4, 2019 — the 2019 Writing Conference of Los Angeles. I wanted to pass on news if you'd like to return, or spread the word to your writers or writing groups. 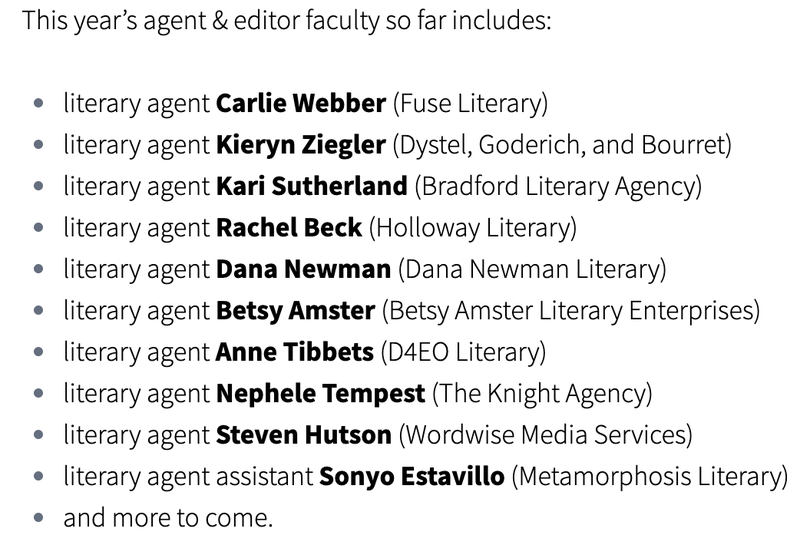 The conference has about 10 attending literary agents & editors taking in-person pitches from writers (that number will grow), and classes all day on how to get published. It looks to be a great event, and I was happy to be able to refer some of our agents to the 2019 event. Again, thank you. All you do is appreciated and valuable.